SPOOKED TELEVISION NEWS: The Haunted Boy, told what it says is the real-life St. Louis story behind the movie The Exorcist. NORMANDY, MO (KTVI) – It cost more than $27 million to buy and re-hab a 19th century landmark in Normandy. Behind the project are a number of groups, including the Denver-based Community Housing Concepts. Construction on this building started in 1873 and ended in 1891. Bringing it back to life called for a lot of attention to details. The building was originally built as St. Vincent’s Hospital after the Civil War. It’s official title was St. Vincent’s Hospital for the Insane. It held hundreds of patients or inmates for almost 100 years.But this building’s past lead a pair of filmmakers to come here to make a movie about how this building is supposedly haunted. 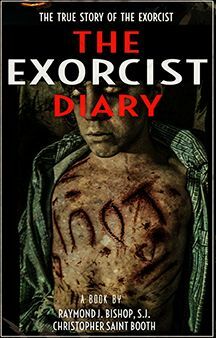 The movie tells the story of a boy who had an exorcism that used to live in the complex. 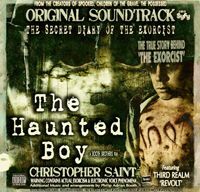 The movie, The Haunted Boy, told what it says is the real-life St. Louis story behind the movie The Exorcist. The filmmakers claim there are unhappy ghosts inside.“I’ve been working on this property for over three years. I’ve never personally seen anything. But there are different people throughout the building that have a story,” said Jacqueline True of E.M. Harris Construction.The movie’s blurb claims Catholic priests told others never to go on the building’s fifth floor. We were told the fifth floor is still original hospital offices. That area is still under construction. Currently there are no fifth floor apartments. 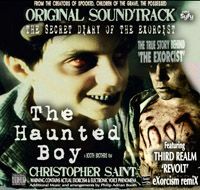 SPOOKED TELEVISION NEWS: The Haunted Boy, told what it says is the real-life St. Louis story behind the movie The Exorcist.